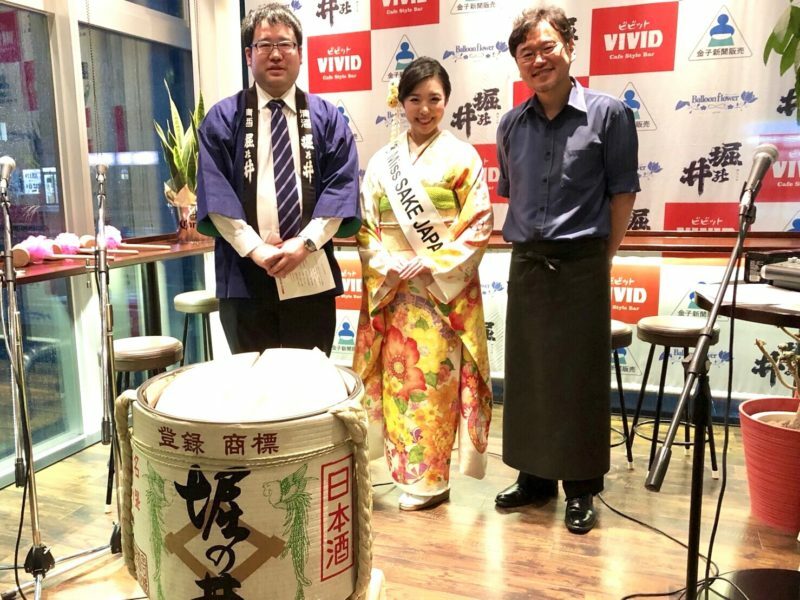 1 Asami Sudo, 2018 Miss SAKE, joined “the Dinner party to enjoy Horinoi’s sake” at Cafe Style Bar VIVID in Shiwa-cho, Iwate Prefecture. 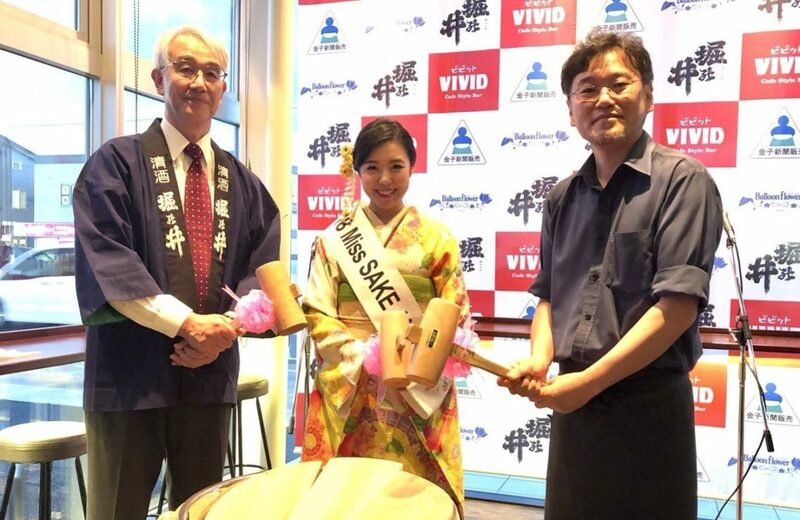 Asami Sudo, 2018 Miss SAKE, joined “the Dinner party to enjoy Horinoi’s sake” at Cafe Style Bar VIVID in Shiwa-cho, Iwate Prefecture. On June 29th, I joined “the Dinner party to enjoy Horinoi’s sake” at Cafe Style Bar VIVID in Shiwa-cho, Iwate Prefecture. 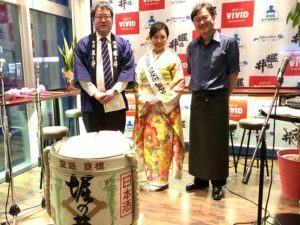 “Cafe Style Bar VIVID” is a casual-French styled restaurant which uses local ingredients of Shiwa-cho. 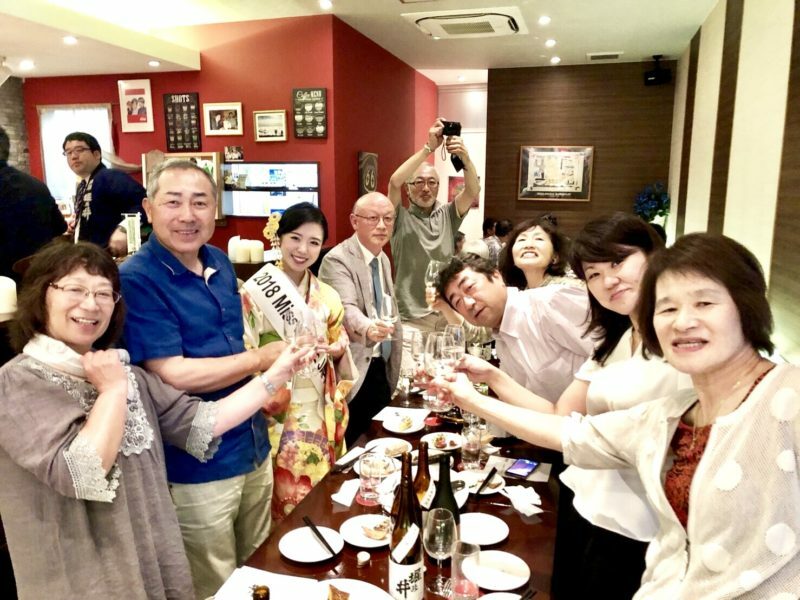 The party took place on a concept that people in Shiwa-cho can enjoy a new side of Horinoi’s sake through the combination with casual-French styled food. 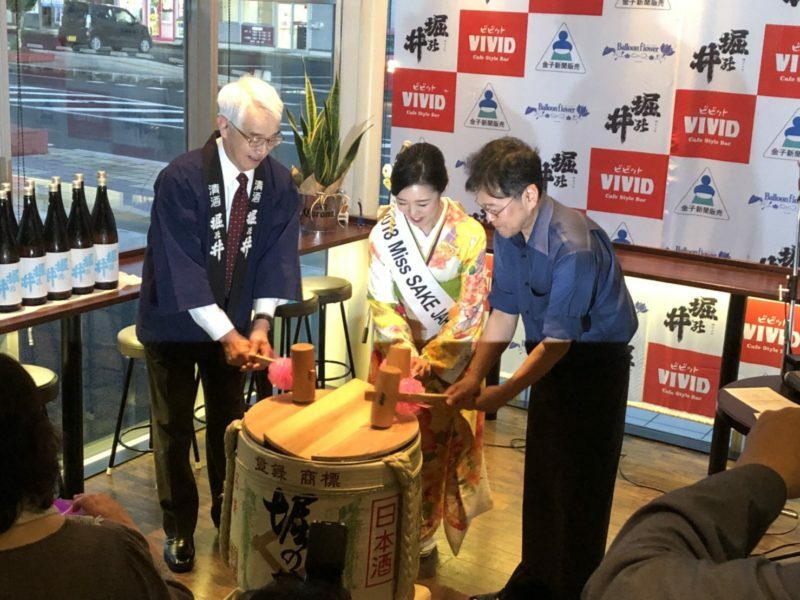 So, this time, Mr. Morikawa, the chef of VIVID made special dishes to match Horinoi’s sake. And it was an honor that I could join the Kagami-Biraki at the opening of the party, and also introduce the activities of Miss SAKE on the stage and have lots of warm words of encouragement to our activities. 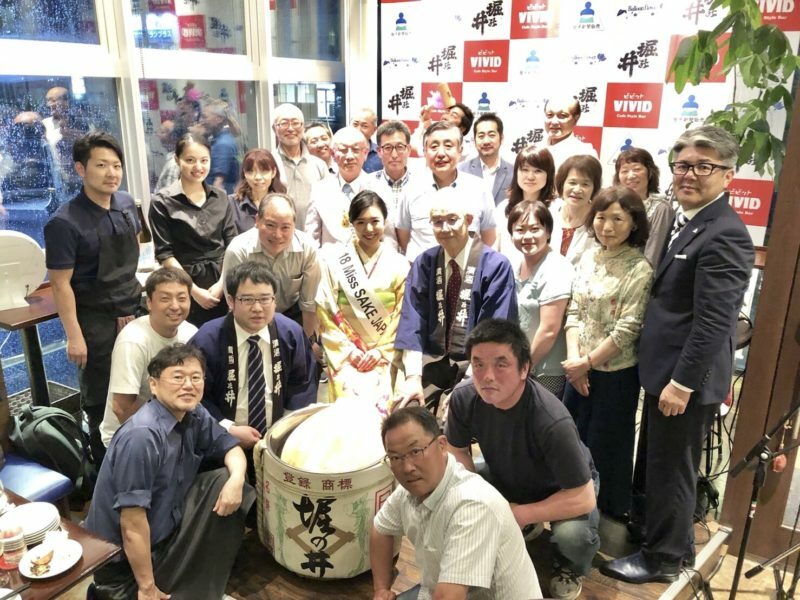 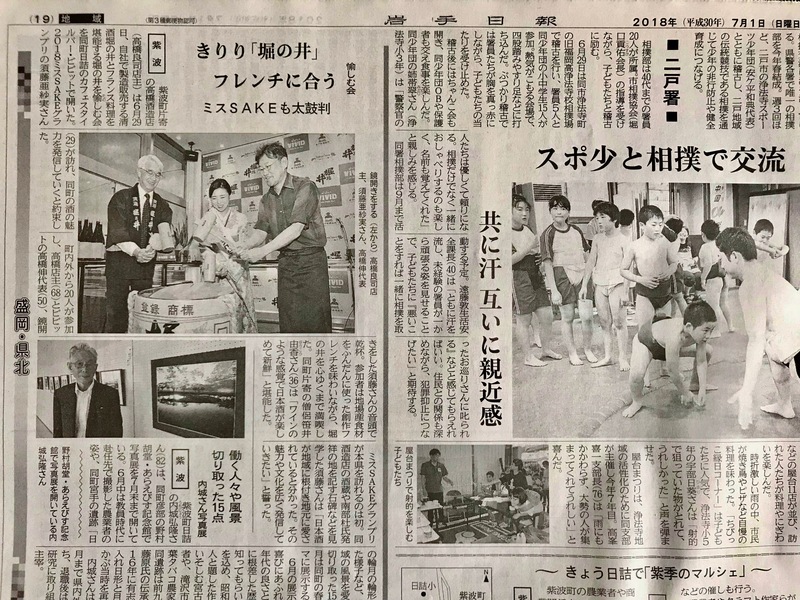 As personally speaking and officially as Miss SAKE association, it was the very first time for Miss SAKE JAPAN to visit Iwate Prefecture, I could spend a precious time with great sake and food of Shiwa-cho, and , of course, great people of Shiwa-cho. 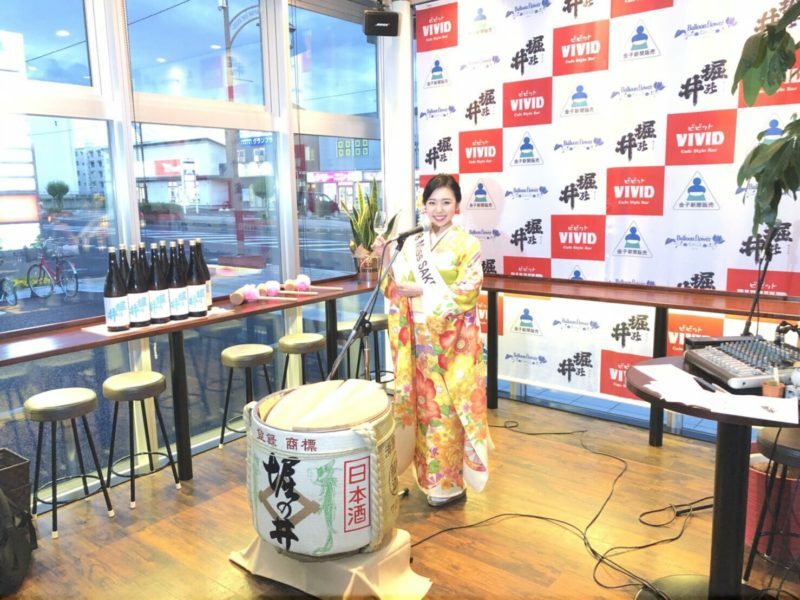 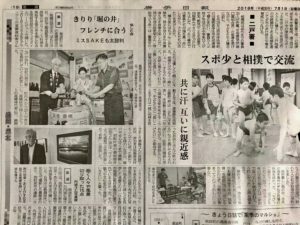 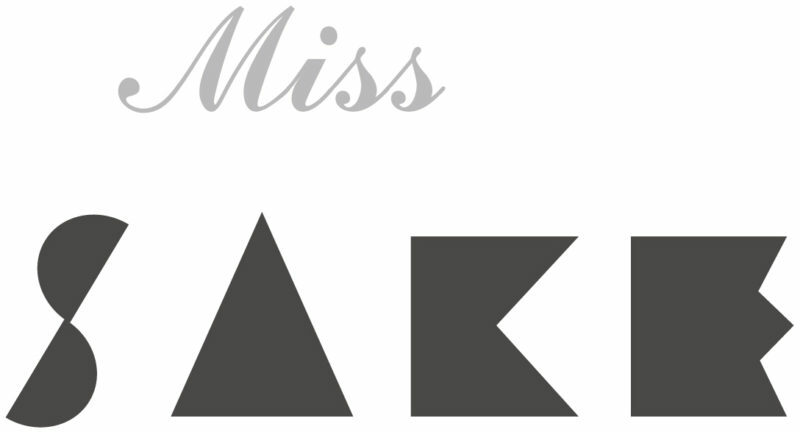 At the same time, I once again realized my mission as 2018 Miss SAKE to contribute to greater introduction of Japanese culture through Japanese SAKE. I extend my deep appreciation to people of Takahashi Sake Brewery, people of Cafe Style Bar VIVID and all the people involved in the party. 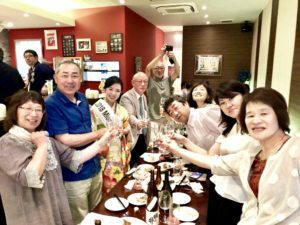 Thank you very much for the precious time.